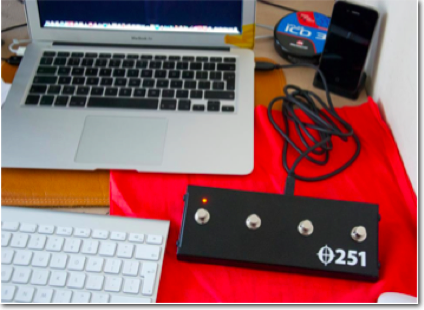 The Coda 251 footpedal is the world's most advanced music foot controller - this is a legacy product that is still available. The old website for the Coda 251 is linked at the bottom of this text and it explains how the product works. Videos can be found on YouTube under the name Coda251. If you are interested in purchasing the whole project outright please get in touch.